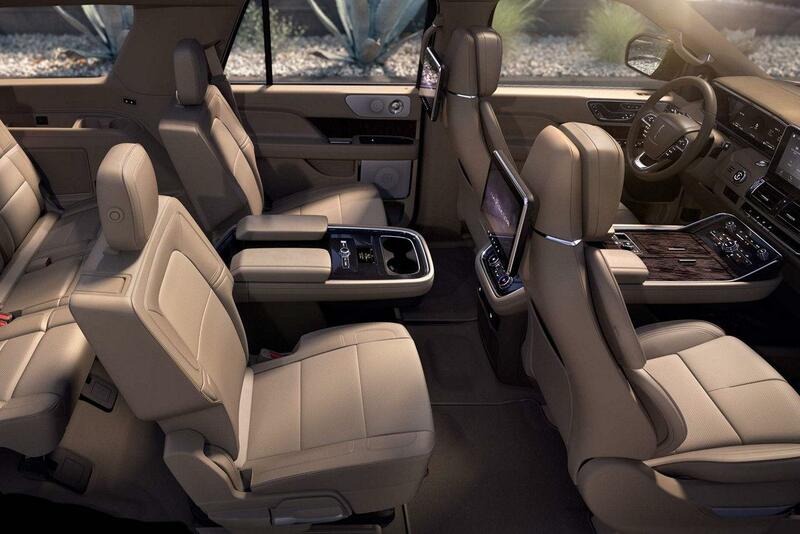 Experience a spacious interior that invites the world into the cabin. 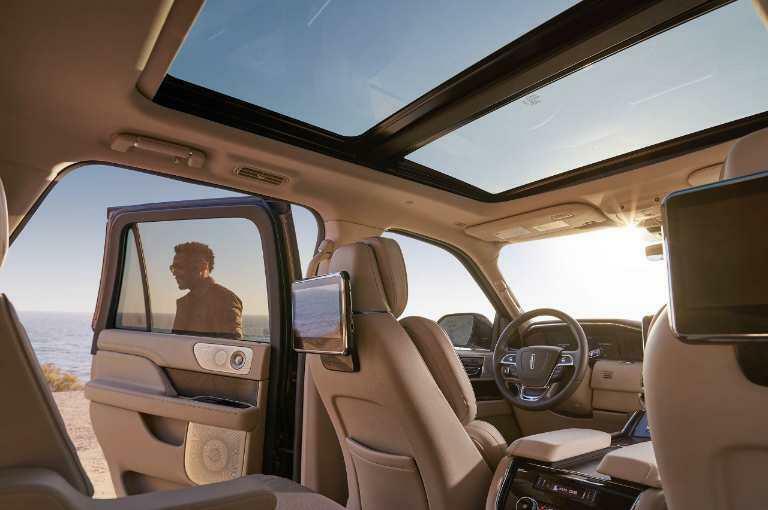 With the available panoramic Vista Roof the cabin feels even more expansive. 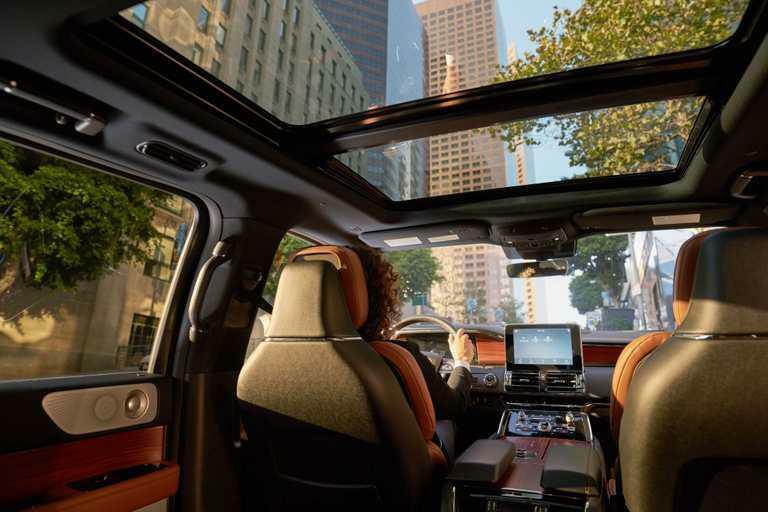 By giving first- and second-row* passengers control of the retractable roof, the space becomes even more inviting for all to enjoy. *When equipped with second-row console. 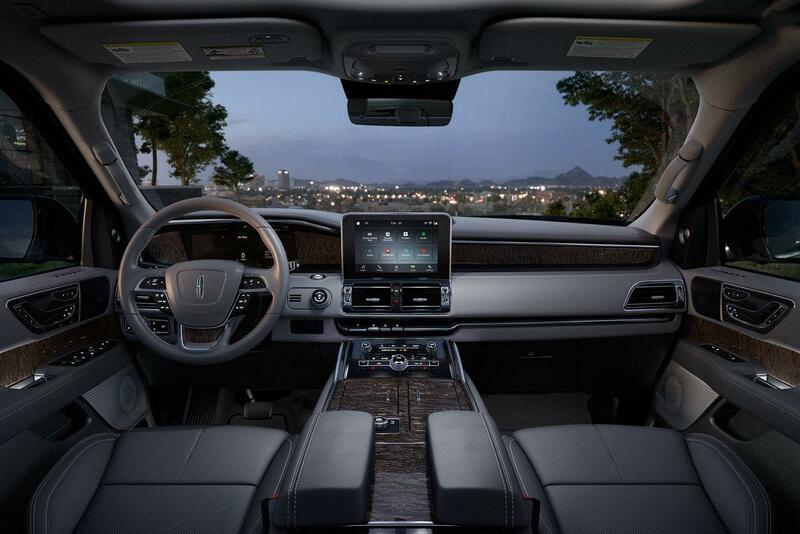 The available illuminated Lincoln Star in the eye-catching new grille is something to be seen and helps others see you. 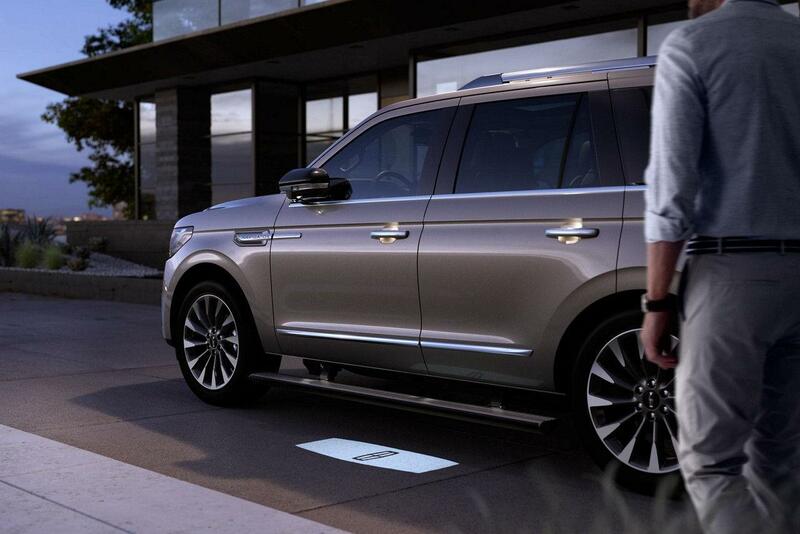 As part of the Lincoln Embrace, an available LED-illuminated Lincoln Star logo shines as you approach. While you are driving, the illuminated star continues to shine, making a bold statement. Satisfy both your desire for control and need for excitement with the simple twist of a dial. From Slippery to Conserve, the Lincoln Navigator offers six distinct selectable drive modes for confidence, exhilaration and control in a wide variety of driving conditions. Each mode has a number of calculated settings that tune the vehicle, including the available adaptive suspension, shift points, 4x2 vs. 4x4 drive lines, information displays and more — and it all happens with the simple twist of a knob. Road conditions vary and, for smooth and confident driving, your suspension should too. The adaptive suspension controls the up-and-down movement of the wheels when driving on uneven surfaces and over potholes. 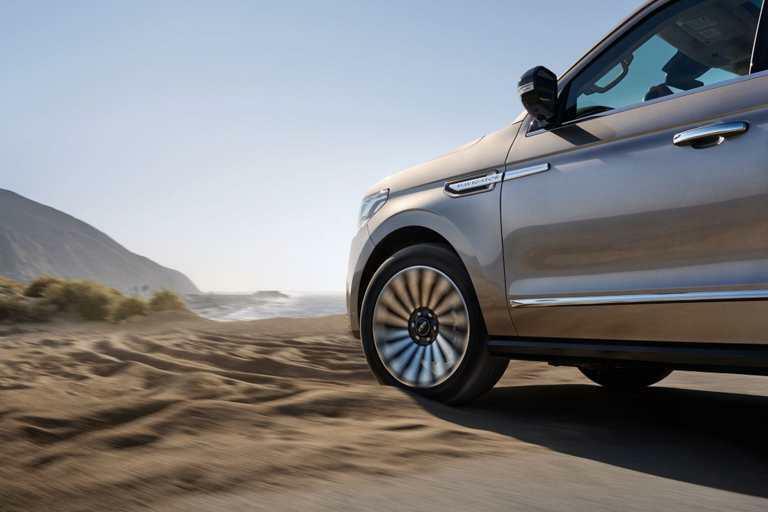 This system, controlled by the six selectable Lincoln Drive Modes, helps decrease the stress of harsh outside driving situations without compromising the comfort within. 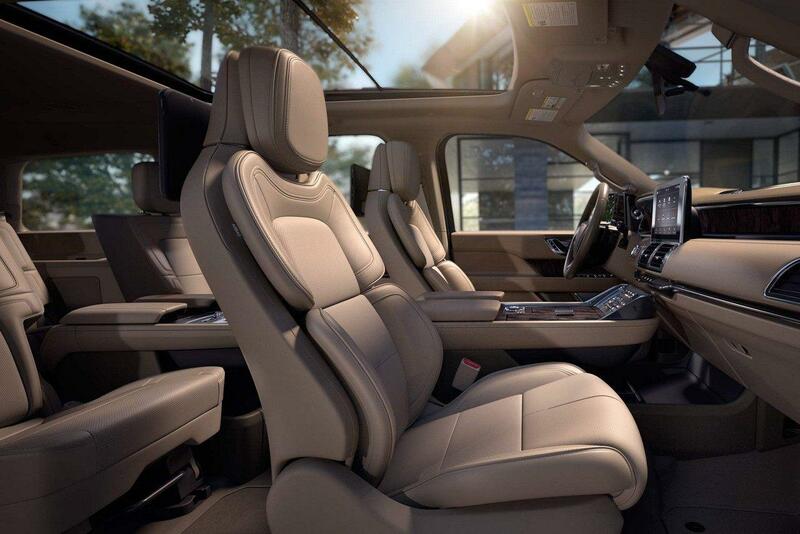 The all-aluminum-alloy body of the Lincoln Navigator gives new meaning to the phrase “less is more.” The reduced weight from aluminum allows Navigator to be enriched with cutting-edge features that enhance comfort, quietness and the driving experience. Whether it’s on the road or off, 4x4 capability offers true mastery of your journey. 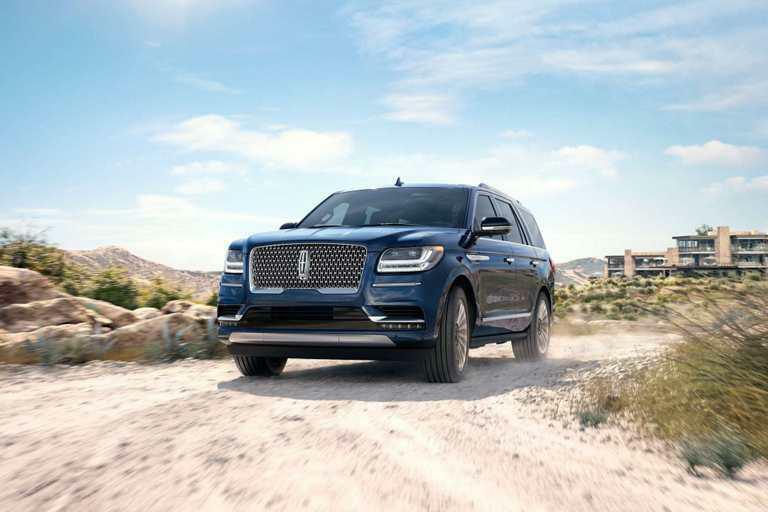 The Navigator’s 4x4 powertrain unlocks and deftly applies the Twin-Turbocharged engine’s 450 horsepower** and 510 lb.-ft. of torque,** making rugged driving conditions easily traversed. Plus, by adding available Hill Descent ControlTM and tow hooks, trying situations will be easily overcome. **Horsepower and torque ratings achieved using 93-octane fuel. 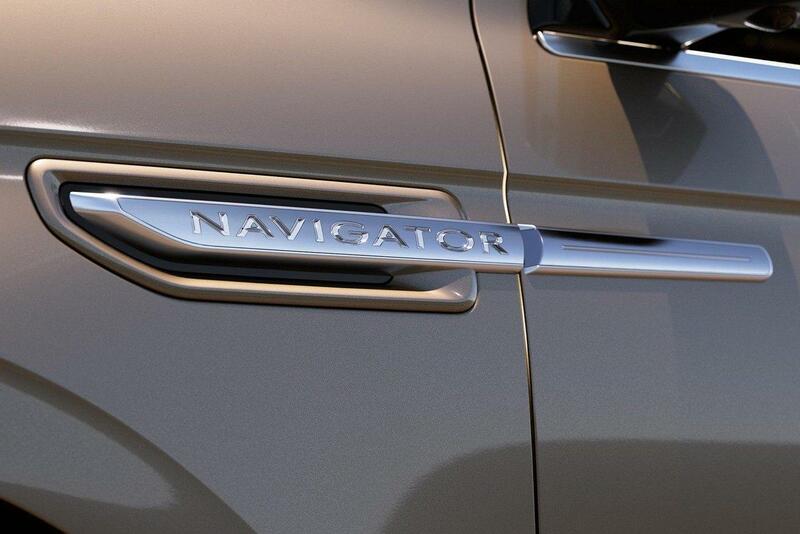 The available Head-Up Display* helps to prove that what lies ahead is just as important as what is happening now. The system helps to create a custom driving experience by letting drivers choose what data to display, from standard driving information to adaptive cruise control settings, lane keeping information and more. It also has the brightest windshield-projected informational display and biggest display size in its class. 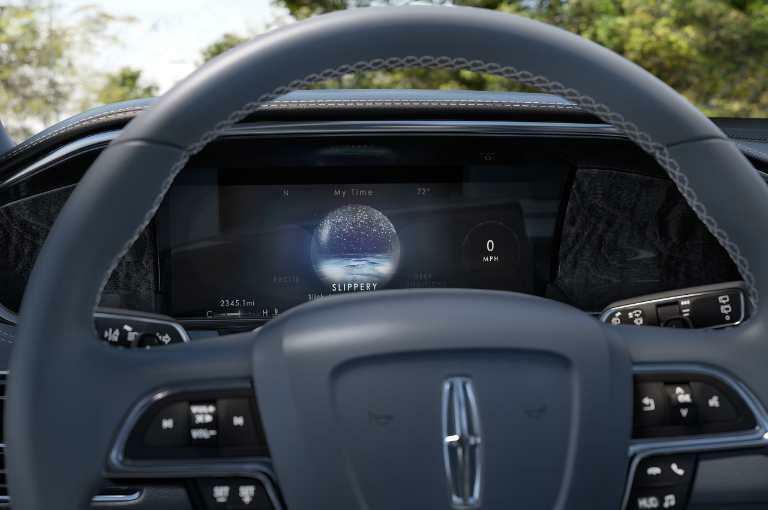 ** Equally important, Lincoln is the first manufacturer to use digital light projection (DLP) technology in its head-up display. 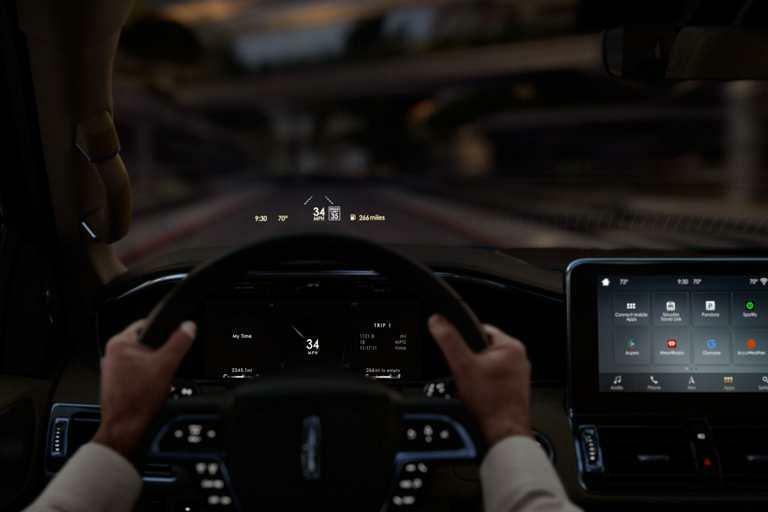 DLP technology allows the display to be visible in more ambient lighting conditions than the systems offered by competitors, even when the driver is wearing polarized sunglasses. 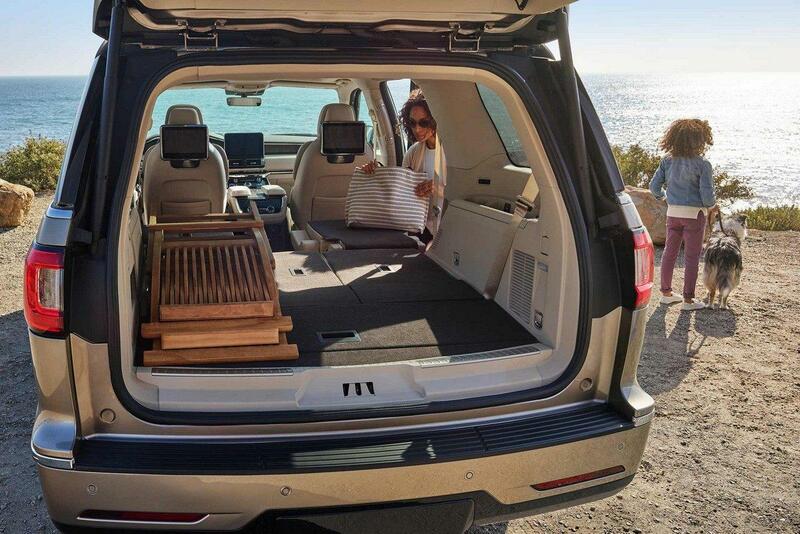 Lincoln Play includes an available Rear-Seat Entertainment System that allows passengers to stream content wirelessly with compatible mobile devices to one of the 10-inch adjustable screens mounted onthe rear of the front seats. 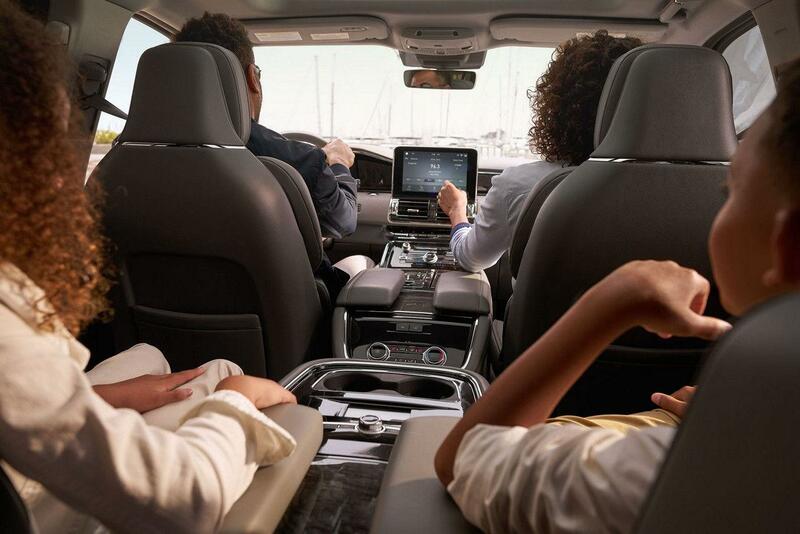 Content also can be accessed through more traditional devices like an SD card, an HDMI cord or a USB, as well as through SYNC AppLink,® which permits the front-seat passenger to monitor and select viewing content. Each screen can display different content, allowing a personalized entertainment experience for every passenger. Through Lincoln’s agreement with Sling Media, those who own a Slingbox can access their TV channels on the go. The standard Wi-Fi allows for up to 10 mobile devices at a time to be connected. 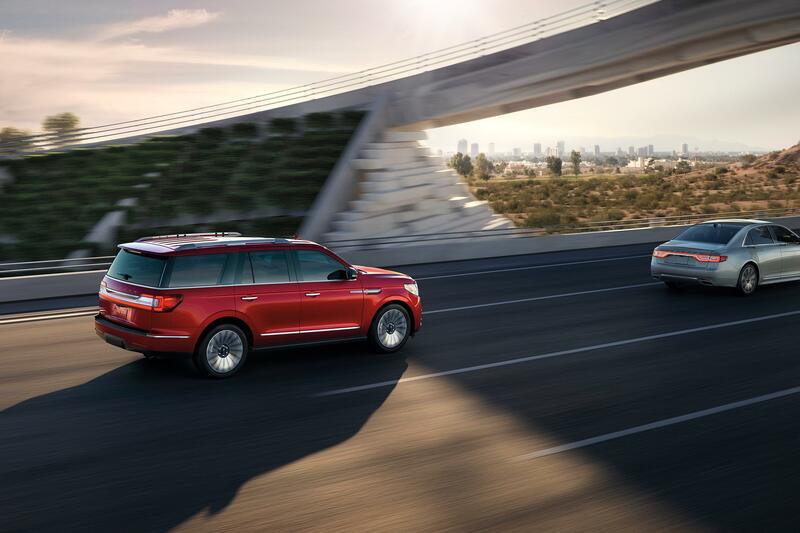 Adaptive cruise control** with stop-and-go capability and collision mitigation makes your drive even more effortless. 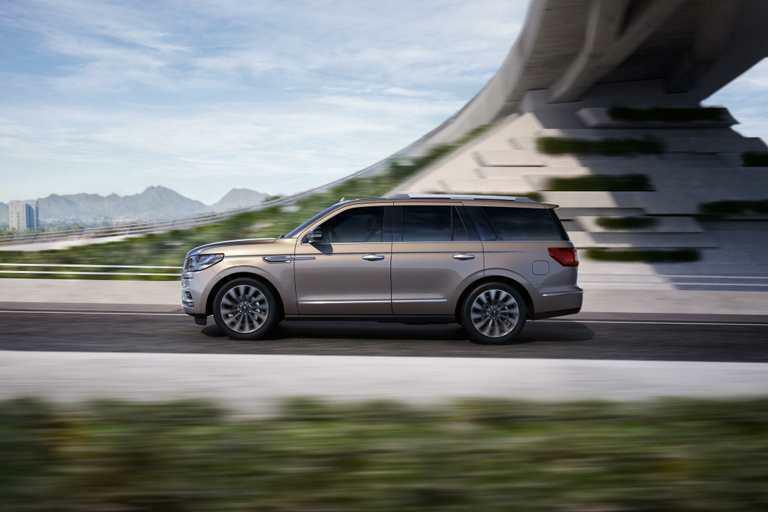 When the Navigator is in adaptive cruise mode, a radar scans the road ahead and detects if you are approaching slower traffic. The system can automatically brake and accelerate to keep you at your set speed or follow with the pace of traffic when speeds are below your set speed. With the addition of stop-and-go, the feature can bring your vehicle to a complete stop in congested traffic and restart it as traffic begins to move. *** Plus, the system can also warn the driver when an object or pedestrian is detected ahead. If the driver does not respond in time, the system can automatically pre-charge the brakes to provide full responsiveness when the driver does brake and can even apply the brakes if the driver takes no action. **Driver-assist features are supplemental and do not replace the driver’s attention, judgment and the need to control the vehicle. Pre-Collision Assist with Pedestrian Detection can detect pedestrians, but not in all conditions and does not replace safe driving. See owner’s manual for system limitations. ***If the stop is longer than 3 seconds, driver must tap accelerator pedal or push resume button to confirm that he or she wants the vehicle to start moving again. 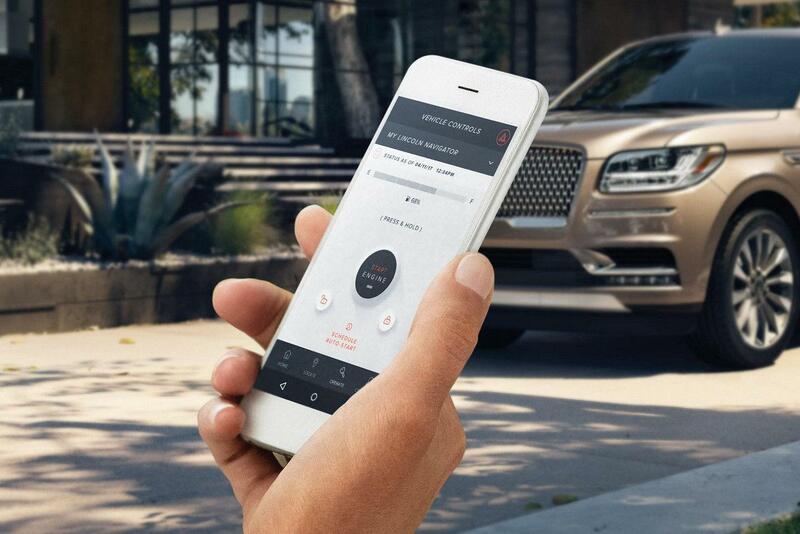 Stay connected to your vehicle — and the features and benefits of Lincoln ownership — with the Lincoln Way app.1 Set up and pay for parking reservations in advance.2 Unlock and start your Lincoln remotely.3 Get Roadside Assistance4 and personalized customer service with the Lincoln Concierge. 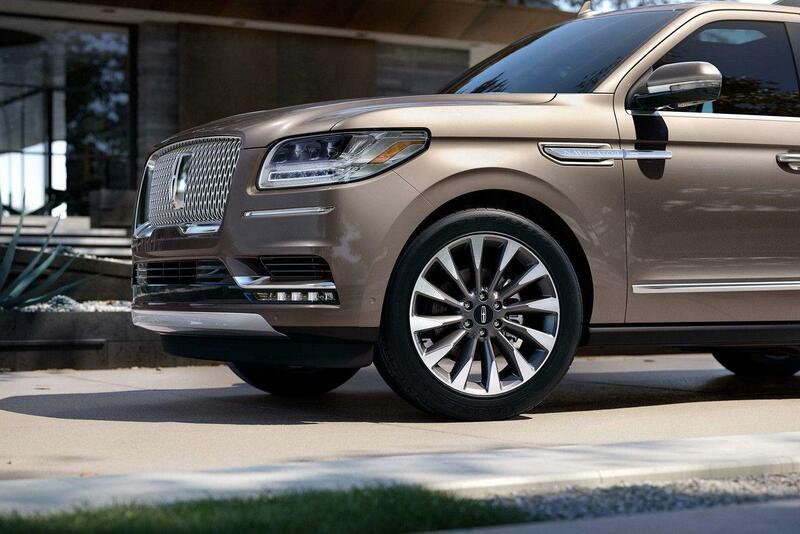 And schedule complimentary Lincoln Pickup & Delivery5 when your vehicle needs service. The future of driving is at hand. Download the Lincoln Way app now — and experience effortlessness at its finest. 1 The Lincoln Way app is compatible with select smartphone platforms. 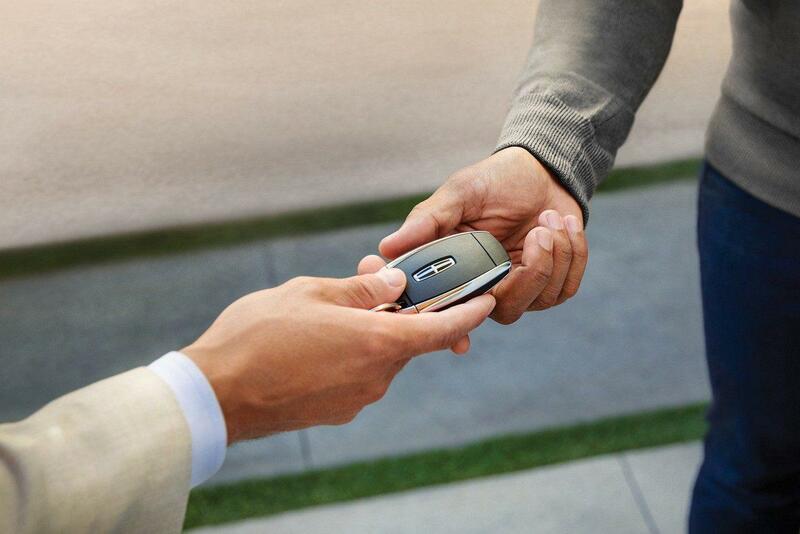 Message and data rates may apply.2 Find parking capability available in select cities.3 An embedded modem, an optional feature on select 2015 – 2018 model-year vehicles, is required for certain features.4 Roadside Assistance is available to all Lincoln clients. If coverage has expired, clients can pay a one-time fee for needed service. 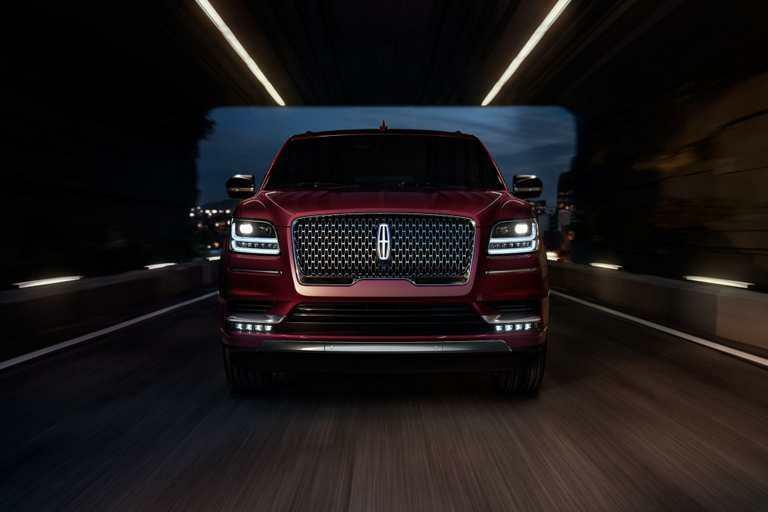 Lincoln reserves the right to change the program details at any time without obligation.5 Lincoln Pickup & Delivery is valid for owners of new 2018 model-year Lincoln vehicles. Service available for retail and warranty repairs. Mileage limitations may apply. See your dealer for details.